My sixty-ninth stadium of 2011 was on Tuesday 11th October 2011 at Blackhouse Lane in Great Cornard, Suffolk. The match was Cornard United vs. Whitton United in Ridgeons Eastern Counties League Division One. Blackhouse Lane is situated on the southern outskirts of the town of Great Cornard and is 2 miles from the nearest railway station at Sudbury. It has been home to Cornard United since 1982. The ground has one all-seater stand level with the half-way line on the west side of the venue. 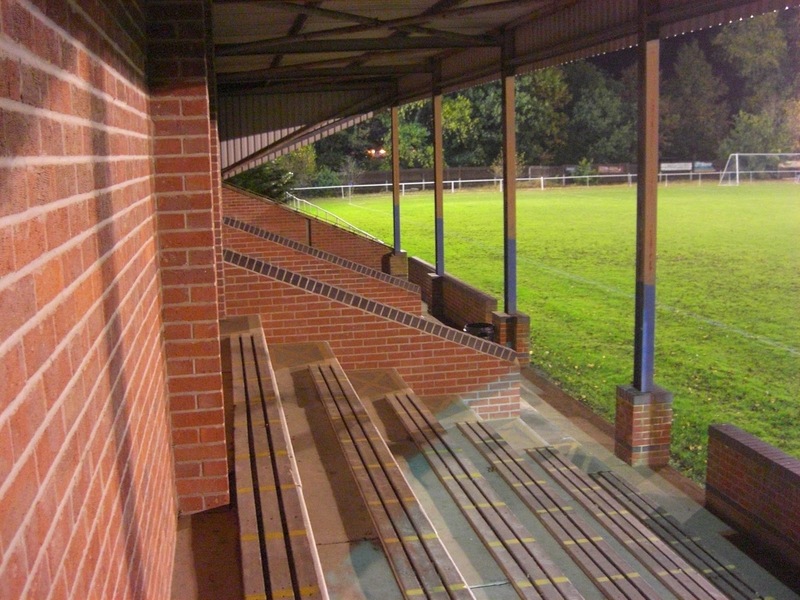 This stand consists of six rows of benching and has an official capacity of 250. Opposite this on the east side of the ground is a small covered standing area which attaches to the clubhouse behind. Also on this side of the ground are the two sets of dugouts. The remainder of the ground is uncovered standing behind a metal barrier which encircles the pitch. The ground is surrounded by trees on most sides which separates it from several training pitches in the grounds of an adjacent school. The clubhouse building on the east side of the ground provides the venue's facilities with the changing rooms and a decent bar area. The game began with an early goal on 5 minutes with the visitors knocking in a rebound after a headed cross cannoned off the crossbar. 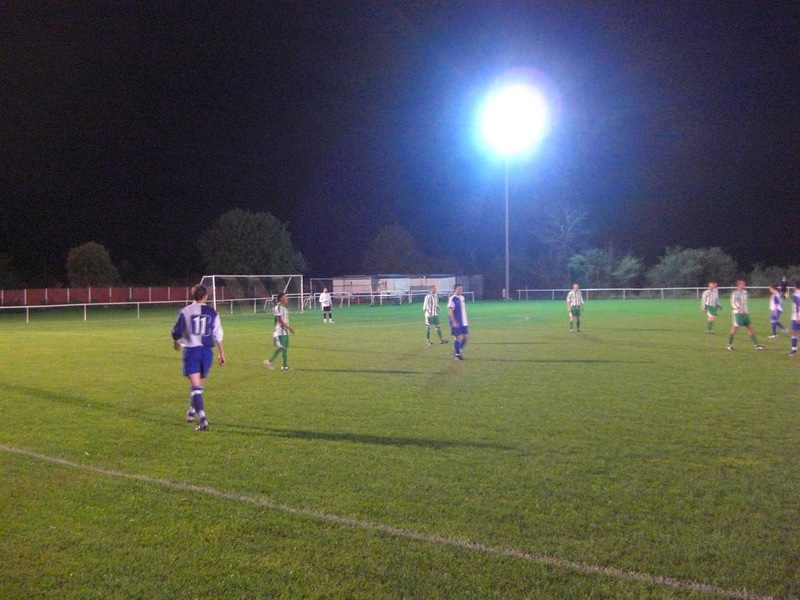 Whitton had a chance to double their lead in the 36th minute when they were awarded a penalty. The penalty was saved although within seconds a cross to the Cornard backpost was not intercepted and the away side fired in to make it 2-0. In the 42nd minute the ball was bundled into the Cornard goal after a penalty box scramble and then a minute later Whitton killed off the game when a superb 40 yard run down the wing was finished off with a cool finish. The second half started much as the first finished with a headed own goal barely 60 seconds after the restart. A few minutes later Whitton added a sixth from the penalty spot but after this Cornard stabilised and went close to scoring with a few attacks of their own. However, the away side were not done scoring and on 75 minutes an excellent lofted finish over the keeper took their lead to seven. With 7 minutes remaining Whitton headed in their eighth from a corner and in the final minutes could have run well into double figures but for some last-ditch defending. In the end though Whitton had to be satisfied with an eight-goal victory over a demoralised Cornard side.